Bank Loan or Invoice Finance: What’s Best for You? Home / Blog / Bank Loan or Invoice Finance: What’s Best for You? Here is the situation: unexpectedly, you receive a huge product or service order. Besides the huge profit you’ll net by filling the order, you’ll also be establishing a business relationship with a desirable client. There’s just one problem: you don’t have the funds to buy the materials or pay your workers to complete the order! Do You Really Need a Loan? It’s in situations like this that business owners don’t hesitate. Nobody likes the notion of going into debt, but small business owners know that it’s part of the formula for success. The order is more important to the business’s future than going into debt. Taking calculated risk is what sets them apart from less enterprising individuals. 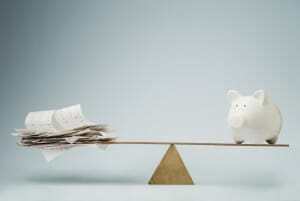 The question is, should you get a bank loan or a get funding from personal invoice financing? Bank loans are probably more common, but that doesn’t make them better. Until recently, taxis were the only way to get from point A to point B if you didn’t have a car, and hotels and motels were the only place to stay if you were in from out of town. There was a need in the market for alternatives, and Uber and Airbnb filled the niches. The same is true with single invoice finance. Though bank loans are more common, single invoice finance offers some distinct advantages that you should know before making your decision. • Bank loans can take several weeks for approval, whereas single invoice finance can get you funds within 24 hours. • Once your customer pays the invoice, the contract is terminated. Selling an invoice is selling money that technically belongs to you. It’s your asset, and therefore it doesn’t have to be noted on your balance sheet. Get in touch with Capstone Capital Group and get in the game with factoring, funding, and financing. For more industry insights, read our previous blogs.